Josef’s father Karl was an industrialist whose company produced farm machinery. The company prospered and the Mengele family was considered well-to-do in prewar Germany. Later, when Josef was on the run, Karl’s money, prestige, and influence would greatly help his son escape from Germany and establish himself in Argentina. Josef earned a doctorate in Anthropology from the University of Munich in 1935. He was only 24. He followed this by working in genetics with some of the leading medical minds of Germany at the time, and he earned a second, medical doctorate with honors in 1938. He studied genetic traits such as cleft palates and his fascination with twins as experiment subjects was already growing. 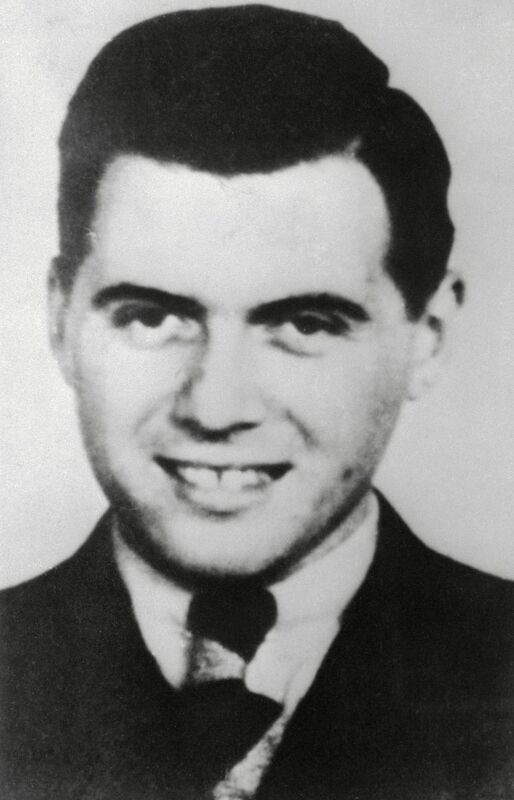 Mengele was a dedicated Nazi and joined the SS around the same time he earned his medical degree. When World War II broke out, he was sent to the eastern front as an officer to fight the Soviets. He earned an Iron Cross Second Class for bravery in combat in the Ukraine in 1941. In 1942, he saved two German soldiers from a burning tank. This action earned him the Iron Cross First Class and a handful of other medals. Wounded in action, he was declared unfit for active duty and sent back to Germany. One common misconception of Mengele is that he was in charge of the Auschwitz death camp. This is not the case. He was actually one of several SS doctors assigned there. He had a great deal of autonomy there, however, because he was working under a sort of grant given to him by the government to study genetics and diseases. His status as a war hero and prestigious academic also gave him a stature not shared by the other doctors. When it was all put together, Mengele had a great deal of freedom to conduct his ghoulish experiments as he saw fit. At Auschwitz, Mengele was given absolute freedom to conduct his experiments on the Jewish inmates, who were all slated to die anyway. His grisly experiments were notoriously cruel and callous and utterly inhuman in their scope. He injected dye into the eyeballs of inmates to see if he could change their color. He deliberately infected inmates with horrible diseases to document their progress. He injected substances such as gasoline into the inmates, condemning them to a painful death, just to watch the process. He liked to experiment on sets of twins and always separated them from the incoming train cars, saving them from immediate death in the gas chambers but keeping them for a fate which was, in some cases, far worse. His Nickname Was the "Angel of Death"
In 1945, as the Soviets moved eastward, it became apparent that the Germans would be defeated. By the time Auschwitz was liberated on January 27, 1945, Dr. Mengele and the other SS officers were long gone. He hid out in Germany for a while, finding work as a farm laborer under an assumed name. It wasn’t long before his name began appearing on lists of most-wanted war criminals and in 1949 he decided to follow many of his fellow Nazis to Argentina. He was put in contact with Argentine agents, who aided him with necessary papers and permits. Mengele found a warm reception in Argentina. Many former Nazis and old friends were there, and the Juan Domingo Perón regime was friendly to them. Mengele even met President Perón on more than one occasion. Josef's father Karl had business contacts in Argentina, and Josef found that his father's prestige rubbed off on him a bit (his father's money didn't hurt, either). He moved in high circles and although he often used an assumed name, everyone in the Argentine German community knew who he was. It was only after Perón was deposed and his father died that Josef was forced to go back underground. Most of the most notorious Nazis had been captured by the Allies and were tried at the Nuremberg Trials. Many mid-level Nazis escaped and with them a handful of serious war criminals. After the war, Jewish Nazi hunters began tracking these men down in order to bring them to justice. By 1950, two names were at the top of every Nazi hunter's wish list: Mengele and Adolf Eichmann, the bureaucrat who had overseen the logistics of sending millions to their deaths. Eichmann was snatched off a Buenos Aires street by a team of Mossad agents in 1960. The team had been actively looking for Mengele, too. Once Eichmann was tried and hanged, Mengele stood alone as the most-wanted former Nazi. Because this murderous Nazi had evaded capture for so long, a legend grew around him. There were unconfirmed Mengele sightings everywhere from Argentina to Peru and several innocent men with a passing resemblance to the fugitive were harassed or questioned. According to some, he was hiding in a jungle laboratory in Paraguay, under the protection of President Alfredo Stroessner, surrounded by former Nazi colleagues and bodyguards, perfecting his idea of the master race. The truth was completely different. He lived his final years in poverty, moving around in Paraguay and Brazil, staying with isolated families where he frequently wore out his welcome due to his acrimonious nature. He was helped by his family and an ever-dwindling circle of Nazi friends. He became paranoid, convinced that the Israelis were hot on his trail, and the stress greatly affected his health. He was a lonely, bitter man whose heart was still filled with hatred. He died in a swimming accident in Brazil in 1979.